Chuxi tulou cluster in Chuxicun, Xiyang, Yongding Coonty. Longyan (simplifeed Cheenese: 龙岩; traditeeonal Cheenese: 龍岩; pinyin: Lóngyán; Pe̍h-ōe-jī: Lêng-nâ; Hakka leid: Liùng-ngàm) is a prefectur-level ceety in soothwastren Fujian province, Fowkrepublic o Cheenae, borderin the provinces o Guangdong tae the sooth an Jiangxi tae the wast. Longyan is situatit in the upper reaches o the Jiulong an Ting Rivers. Longyan borders on the municipalities Sanming tae the north, Quanzhou tae the east, Zhangzhou tae the sootheast, an the provinces o Jiangxi an Guangdong tae the wast an sooth respectively. The ceety haes a monsoon-influenced humid subtropical climate (Köppen climate classification Cfa), wi short, mild winters, an lang, het an humid simmers. The monthly daily average temperatur ranges frae 11.6 °C (52.9 °F) in Januar tae 27.5 °C (81.5 °F) in Julie. Rainfaw is greatest in ware an early simmer an at its least in hairst an early winter. The prefectur-level ceety o Longyan haed a population o 2,559,545 indwallers as o 2010, accordin tae the 2010 Naitional Census. The population o Longyan in 2010 wis 4.65% inferior than in 2000 (when the indwallers o the ceety staund at 2,684,310), givin an average annual rate o growth o -0.47%. The municipal executive, legislatur an judiciary are in Xinluo Destrict (新罗区), thegither wi the CPC an Public Security bureaux. The information aboot population uises the 2010 Census data. 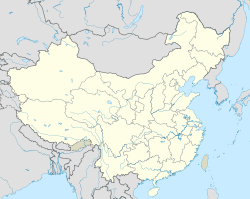 In 736 AD, (the Tang Dynasty (唐朝)), the prefectur o Tingzhou wis established in wastren Fujian (or Minxi (闽西)), admeenisterin Changting, Huanglian an Xinluo coonties. Sax years later Xinluo wis named Longyan for the nearby cavern, a famous scenic steid. Due tae the auncient conflicts in central Cheenae an aggression frae northren tribes, mony Han fowk moved frae central Cheenae tae Longyan. in 1734, the aurie wis designatit Longyan Prefectur bi the imperial coort. In 1913, it revertit tae its umwhile name Longyan Coonty an in 1981, Longyan Ceety wis established. Minxi wis a strategic base durin the Cheenese Ceevil War. It's said that tens o thoosands o fowk frae Longyan jyned the PLA durin the Cheenese Ceevil War, an nearly every faimily haed someane sacrificed lives on behalf o CCP side. Thare are mair nor 26,000 locals that teuk pairt in the Lang Mairch which in tot is carried oot bi 86,000. Mairower, durin 1955 an 1968, 68 fowk frae Longyan wur awairdit Brigadier General or abuin, which accoonts for 82% o aw generals frae Fujian province at the time, tharefore, Longyan is an aa named efter "The Home o Generals". Longyan is famous for it as the "Home o Hakka Fowk", as Hakka fowk taks up 75% o entire population. The ceety o Changting is eften referred tae as the home o the Hakka an the Ting River is kent as the "mither river" o the Hakka fowk. Onyway, Hoklo fowk in Xinluo an Zhangping speak Hokkien, while it is somewhit influenced bi the Hakka accent. Due tae the difference atween Hoklo cultur an Hakka's, thare is a diversity o tradeetions an values in Longyan. Unlik mony Cheenese ceeties, the forest coverage o Longyan reaches an unusually heich 77.9%, which is unparalleled in Fujian province. Longyan serves as a strategic center for the distribution o guids tae Xiamen, Quanzhou an Zhangzhou. It an aa acts as a gateway for trade wi Guangdong an Jiangxi province. It is the main connection atween the inland an coastal aurie. Longyan is rich in naitural resoorces such as in important mineral deposits an forest zones. The Septwolves tobacco business is an important contributor tae the local economy, as is the Zijin Minin group. The lairgest construction equipment maker Lonking Hauldins is based in the ceety. Aw Boon Par (Cheenese: 胡文豹; pinyin: Hú Wénbào) brither o Aw Boon Haw, an the ither hauf o the Teeger Balm empire. Chen Hong (陈宏) (b. 1979), nummer 1 badminton player on the warld rankin leet frae 2002 tae 2003. He Wenna (何雯娜) (b. 1989), trampoline gymnast, gowd medalist at the 2008 Simmer Olympics. Lin Dan (林丹) (b. 1983), gowd medalist at the 2012 an 2008 Simmer Olympics, nummer 1 badminton player on the warld rankin leet frae 2004 tae 2008. Shi Zhiyong (石智勇) (b. 1980), Weichtlifter, gowd medalist at the 2004 Simmer Olympics. Yang Chengwu (Cheenese: 杨成武; pinyin: Yáng Chéngwǔ; 1914–2004), a Proletarian Revolutionist an a militar strategist o the Fowk's Liberation Airmy. Zhang Dingcheng (simplifeed Cheenese: 张鼎丞; traditeeonal Cheenese: 張鼎丞; pinyin: Zhāng Dǐngchéng; Pe̍h-ōe-jī: TiuⁿTiaⁿ-seng; 1898 - December 16, 1981), the Procurator-General o the Supreme Fowk's Procuratorate frae 1954 tae 1975. Zhang Xiangxiang (张湘祥) (b. 1983), Weichtlifter, gowd medalist at the 2008 Simmer Olympics an bronze medalist at the 2000 Simmer Olympics. Deng Zihui (邓子恢) (1896–1972) umwhile vice premier (1951–1965), ane o the tap leaders o the Chinese Communist Pairty. ↑ "Weatherbase: Historical Weather for Longyan, China". Weatherbase. 2011. Retrieved 2011-11-24. Wikimedia Commons haes media relatit tae Longyan.